It took me a while to really appreciate why the notion of terroir matters, and why, in fact, it might be the most useful metaphysical construct to show how wine speaks to us in its most eloquent voice. But for me, a true appreciation of the beauty of terroir has been a long and slightly tortuous journey of discovery. My obsession began when I was a student at UC Davis, in the late 1970s, when I would torture my professors with a million questions about the sundry details involved in the creation of the theoretical Great Pinot Noir. My plan was to simply brood on these issues obsessively night and day, turning them over and over in my mind, trying to identify and perhaps rank in importance the salient variables, and then to formulate a plan to produce a Burgundian-style Pinot Noir in California. What could be any easier? Thankfully, I failed. In retrospect, there were a number of things I could have done differently to render my efforts more “Burgundian,” but the main point here is that attempting to make an imperfect copy of something that was already in some sense perfect is just a waste of time. What is precious about great Burgundy, indeed about any vin de terroir, is its absolute originality, and attempting to replicate originality does rather miss the point. For, in fact, terroir is not something that can be consciously manufactured or created; at best it can be discovered and explored, and that has been my obsession in recent years. My deep (and not unrealistic) concern, of course, is that great terroirs are generally revealed and studied over a fairly long time horizon. How could anyone have the temerity to suggest that this process could perhaps be dramatically accelerated? After my heart was broken by my disappointing efforts with Pinot Noir, I continued to work with Rhône varieties, principally those of the south, making a blended wine, which we called Le Cigare Volant. Because the grapes were harvested from diverse locations, in diverse soils, farmed every which way and ripened over a two-month window of time (making co-fermentation largely impossible), it was essentially impossible to think about producing this wine as a true wine of place. In every sense, it was a “composed” wine, a wine of effort, bearing the stylistic imprimatur of its producer. And yet, I remained a lover and admirer of vins de terroir, wines of place, as they are sometimes described. I have well understood the immense difficulty of somehow shepherding a vin de terroir into this world de novo. The degree of difficulty in achieving this end in no way makes it a less worthy aspiration, and for good or not, I have decided that in my remaining years on this planet, I will make the best effort to discover and participate in the manifestation of a wine of place here in California. I was fortunate enough to have found (and purchased, in 2009), an extraordinary property located in the San Juan Bautista area of the Central Coast. The site is located between two fairly active faults, and the seismic activity is no doubt at least partially responsible for the heterogeneity of the diverse soil types that one finds on the property. The place has — forgive the New Agey woo-woo — a very special kind of energy or presence. The problem that a winegrower in the New World faces is a bit like the issue that an aspiring novelist confronts. It would seem, at least at cursory analysis, that all of the great stories have already been told, indeed by those far more capable of telling them, those seemingly born to tell their unique tale in a truly original way. In viticultural terms, how might a winegrower working with Syrah ever imagine he or she could produce a wine that would rival in complexity and nuance a great Côte-Rôtie, or to raise a Nebbiolo as powerful as a great Barolo, as complex and finesse-ful as a great Barbaresco? There would be no reason to imagine that his selection of varieties, clones, and cultural practice would yield a result as congruent as one might find in an Old World grand cru, where vine, rootstock and culture have been iterated, observed and perfected through countless generations. In light of this, how might one proceed to produce a wine that makes a contribution to the world library of distinctive tastes and characters — a wine not just with personality, but with identity? It would seem that one important strategy would be to identify unique sites that were strong candidates for expressing unique terroirs; it is an understatement to say that this can certainly be a bit hit and miss and the difficulty of achieving this should not be minimized but would presumably involve identification and demarcation of distinctive soil types that one believed would impart a unique quality to the wine. There may be numerous criteria for the identification of “strong,” expressive, or articulate terroirs, but certain soil types seem to be consistently reliable for the expression of distinctiveness: calcareous (limestone), granitic, volcanic, schistous, porphyric, gravelly, as well as certain special types of clay soils. It would seem that there are really two primary criteria for suitability as a prime terroir for grapes: the presence of available minerals, and the appropriate geophysical characteristics to solve the vine’s hydrologic issues that are unique to the site itself. In other words, soils in higher rainfall areas must be well drained, and likely on slopes; in dryer, droughty conditions, the ability to hold water (and to hold it tightly and miserly) would appear to be key; deeper soils on less severe slopes would be most appropriate. To summarize, the geophysical situation conducing to a greater degree of homeostasis and balance for the plant in the context of the site — it could even be the presence of another 30 minutes of sunlight later in the growing season, compared to its neighboring sites — will likely produce the most successful terroir, at least locally. The second part of the equation is to farm in such a way that encourages the amplification of terroir, boosting the signal without creating an undue amount of noise. Organic or biodynamic farming would appear to be helpful if not crucial; the rigorous eschewal of fungicides and other pesticides is essential. Restricted yields, non-irrigation, non-tillage, and sound cultural practice — appropriate pruning, thinning, for example to optimize grape uniformity and clear expression (one wishes to avoid the distractions engendered by either over-ripe or under-ripe fruit) — are all practices that help to amplify the signal one is seeking. It goes without saying that the expression of terroir can well be effaced by overly stylized winemaking: over-extraction, inappropriate barrel selection, or undue reliance on winemaking maquillage — stylized interventions to render the wine more flattering. So, where does this leave us, and how might this aspiring New World terroirist proceed? I may or may not be successful in identifying the greatest, most distinctive terroirs, the true grands crus, and undoubtedly will be less than perfectly successful in finding the absolutely most appropriate grape variety or varieties to plant on my sundry sites. And yet, I believe there still may be some useful work to be done to produce some truly distinctive wines of place, original and soulful wines, within a relatively short time-frame, and at the same time leave a contribution to le monde viticole. My plan is to invert the normal strategies of looking for a site that one believes is uniquely suited to one’s chosen grape variety, or alternately, having already chosen the site, trying to work out what extant grape varieties (or more properly, cultivars) would be best adapted to the site. Instead, the focus would be on carefully selecting what one believes to be a “strong” or particularly articulate terroir and then adopting an approach of pushing all the viticultural buttons one can summon to elicit the strongest signal of site characteristics whilst minimizing the extraneous noise of other elements, including (gasp) that of varietal character. The initiative is predicated on the notion that the most compelling vins de terroir are ones in which the traditional Gestalt of fruit in the foreground and soil characteristics in the background has been reversed. My plan is to breed a very large number of new cultivars from a set of common parents and then plant them in the aforementioned carefully defined and delimited zones of pedological homogeneity. One parent will be white, the other red; I’m looking for cultivars that have been around for a long while and have a certain amount of genetic stability. (I don’t want a high percentage of the offspring to be wildly divergent from their parents). How to select the parents of this dynasty of grapes is not an entirely straightforward proposition — it’s a bit like performing the thought experiment of imagining the selection of one’s own parents — but the idea is to use roughly equal parts common sense, intuition, and imagination. Among the criteria I’m seeking for appropriate parenting credentials: drought resistance, reasonable or significant disease resistance (I’m not certain whether I will be able to include a resistance to Pierce’s Disease or powdery mildew in the breeding stock), ripening/balance criteria in the San Juan Bautista growing area, and upright growth (wishing to eschew the use of trellising and other significant impedimenta). This will undoubtedly sound very New Agey, but in the design of this experiment, I am trying to make sure that I do not over-determine the outcome. I need to build-in a fair amount of randomness and chance in the design. If we use a musical analogy, the resultant composition may be more in the spirit of John Cage than Johann Sebastian Bach. The most important part of the experimental design will be choosing the parents wisely; to this end, I will pray for guidance from the nature spirits. The offspring (male, female, and hermaphrodite) will undoubtedly come in various shades: red, white, and pink. Some (the males) will be sterile and will need to be discarded. It is my intention to make a blended wine from this diverse population. It would seem to make sense to make a red wine from the red grapes and possibly some portion of the pink individuals, and another white wine from the white and some portion of the pink. Or just ferment everything together; when the whole field is arrayed, I am hoping that the answer may present itself. The relevant point is that owing to the great diversity of the blend, varietal expression will be suppressed, with the expectation that in so doing, the more interesting, complex qualities of the terroirs might better reveal themselves. There will undoubtedly be a fair number of clunker biotypes in the population — dull, lacking in discernible character on their own — but if they do their job as a vehicle or carrier of soil characteristics, they will have done what I wish them to do. My hope is that the small differences between the unique varieties will help to create a degree of complexity in the wine that could not be otherwise achieved by the planting of a more conventional array of varieties or of a single cépage, even one uniquely gifted. And as far as gifts, it is my hope that I will live long enough to be able to give to the world this collection of these new grapes, which may be useful to a wine-grower in some other part of the world someday. 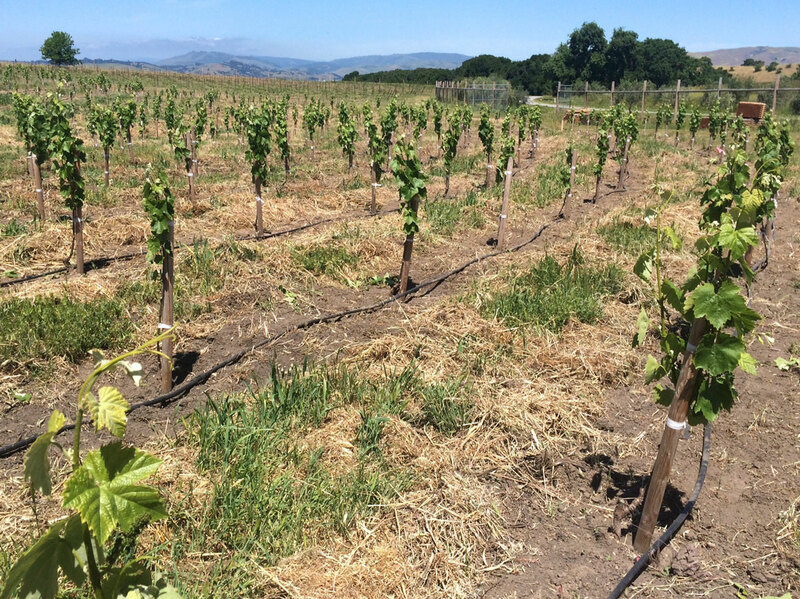 It will take many years for the special qualities of these new grapes to emerge; our ability to analytically record quantifiable criteria of interest (aromatic potential, reductive molecules of interest, etc.) has improved dramatically in recent years, and as that ability to detect these elusive compounds improves, perhaps I will continue to refine my own notions of what precisely I am looking for. It seems a bit unlikely that there will ever be a reliable algorithm for the detection of great and original beauty, and for that fact I entertain somewhat mixed emotions. In brief, my apologia for terroir goes something like this: Vins de terroir, or wines that express the unique characteristics of a certain place, especially when that place has been particularly delimited, are simply far more nuanced, complex, and dimensional than wines that are mute as to their place of origin; they are generally more vibrant and imbued with a greater degree of life-force than wines lacking in provenance. Vins de terroir enrich our world in a very special way and connect us to Nature itself. They are ultimately the only wines that truly matter. When you visit European cellars, you are typically treated to an involved discussion of the geologic history of the region and pedology of the soil types unique to the area. An immature, fidgety taster doesn’t want to hear another word about the role of seashells or parent rock in your glass; you’re there to taste wine and pronto, thank you very much. But, if somehow (I don’t really know how this happens) you can manage to develop the grace to just sit still for a moment and listen attentively, at some point the differences between gray slate and green slate become the most precious information you can possibly garner, and an appreciation of these differences becomes supremely relevant to your mission to learn how to truly taste. In the Middle Ages, the monks who tended vines in Burgundy observed small differences between adjacent parcels, and the notion of classifying different crus based on their distinctiveness was born. What distinguishes a great growth from the more ordinary ones is that the grand cru is able to resolve the individual vines’ qualitative issues more consistently (better drainage, better exposure, advanced ripening, etc. ), and, as significantly, to dependably produce a wine in most vintages with distinguishing characteristics that stand out. 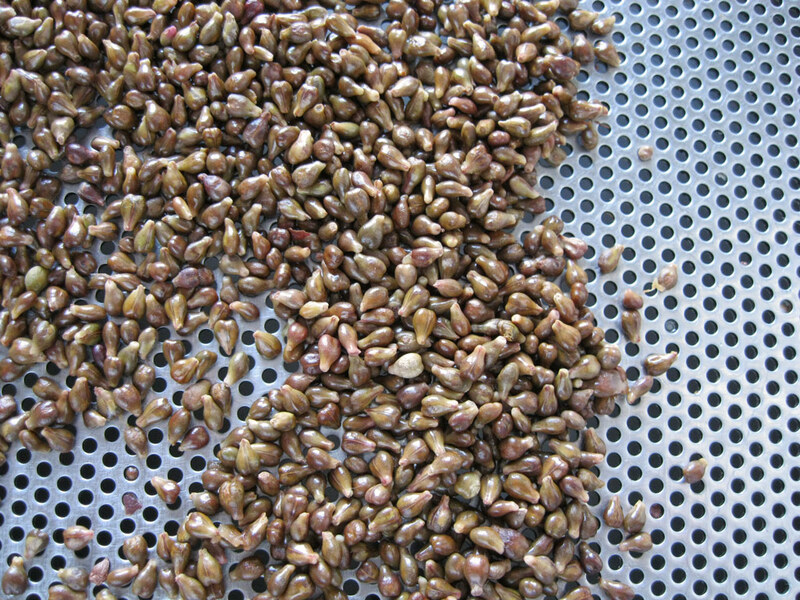 Quite recently I learned that there appears to be a singular molecule, geosmin, which may play a significant role in the expression of Burgundy’s typicity — the same compound that gives beets their particularly characteristic, earthy flavor, as well as creating the phenomenon of petrichor, the smell of earth after a rain. It still begs the question of what geophysical characteristics of a given site seem to educe higher concentrations of geosmin in Pinot Noir. (Note: too much geosmin character in a wine will translate into a sort of mustiness.) Where it gets very interesting, to me, at least, is that petrichor is produced in the soil by Actinomycete bacteria, which are endophytes, microorganisms capable of moving through the vasculature of plants. I don’t know if anyone has ever tried to isolate the presence of Actinomycetes in grapevines (maybe if their DNA signature can be detected? ), but it would indeed be interesting if it could be shown that somehow the goût de terroir, or at least some part of it, actually did come directly from the soil, as many of us have imagined. My queries focused on an ever-expanding list, which included such viticultural issues as clones (which ones and in what proportion), vine density, trellising system (cane or cordon), rootstock (or lack thereof), limestone (and what specifically was the mechanism of its contribution), climate (esp. night-time temperatures), the influence of millennia of sheep grazing in the region, and, of course, an obligatory meditation on issues enological: punching down vs. pumping over, barrels vs. puncheons, the oeno-tantric practice of essence — sorry, lees retention — the value of indigenous yeast (just how did you get the right strains to grow? ), delayed ML (or not), stemming vs. destemming, maceration à froid (cold soaks, oui? ; they were just becoming the rage at the time), total number of days in the tank (cuvaison), etc., ad pungent noseum. There were substantial reasons my professors could be seen ducking into janitorial closets when they saw me coming down the hallway. I was able to purchase Pinot Noir grapes from Oregon that were infinitely more interesting than the Pinot I was attempting to grow in the Santa Cruz Mountains in the eponymous hamlet of Bonny Doon, and this illustrates the peril of growing your own fruit. In other words, when you commit to farming a piece of land without a known and understood provenance, you can, in fact, fail. Years later, after I had successfully replanted the Bonny Doon Estate vineyard to Syrah, Roussanne, and Marsanne — and by success I mean the ability to create a wine that was consistently distinctive — the vineyard succumbed to Pierce’s Disease. The wound of losing the vineyard effectively put me off the pursuit of terroir for many years, and I felt much more comfortable with the relative safety of purchasing grapes that I could freely choose to take (or not) and manipulate to my whim. 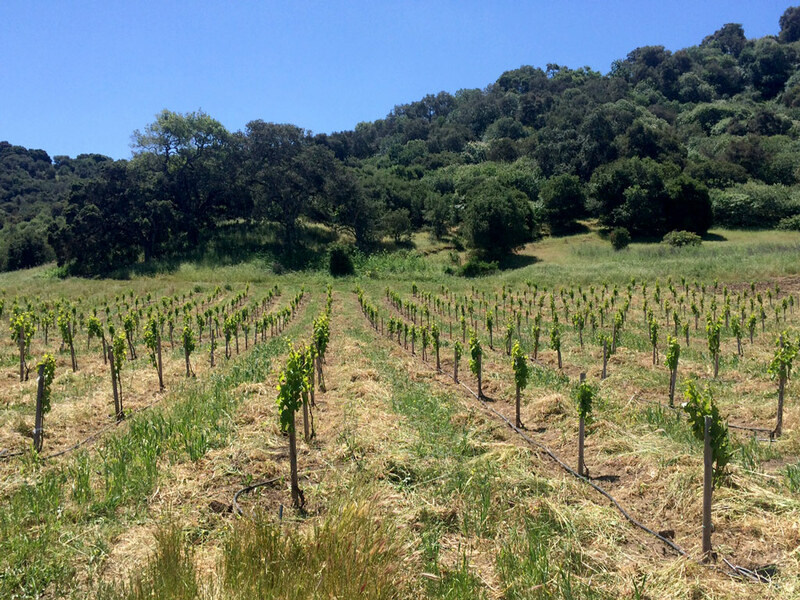 I may well fail to help engender a startlingly original vin de terroir in the new vineyard in San Juan Bautista, but there is no question that the questions I have to ask myself, beginning with how can I elicit originality in this wine, are the questions that, in any event, make one a far better wine-grower. By picking and choosing vineyards and grapes, I was able to control the style of the wine and create a very drinkable, delicious, and consistent bottling; this strategy is largely what the New World does so very well, but it carries with it the limitation that the wine will only be as clever as the winemaker him- or herself, which is to say, not very. Ironically enough, it wasn’t too many years into the project that I realized that it was utterly hopeless to try to make the wine in the style of a Châteauneuf-du-Pape (although that would likely have resulted in much higher scores from influential critics). The reality was that I found I didn’t even much like most Châteauneuf-du-Papes: too tannic, too extracted, too alcoholic. Le Cigare was and is itself stylized and has somehow remained mostly true to my abiding aesthetic; even though the varietal percentages have varied every year, it always has an intrinsic “Cigareness,” but this should in no way be interpreted as an inherent aspect of terroir. 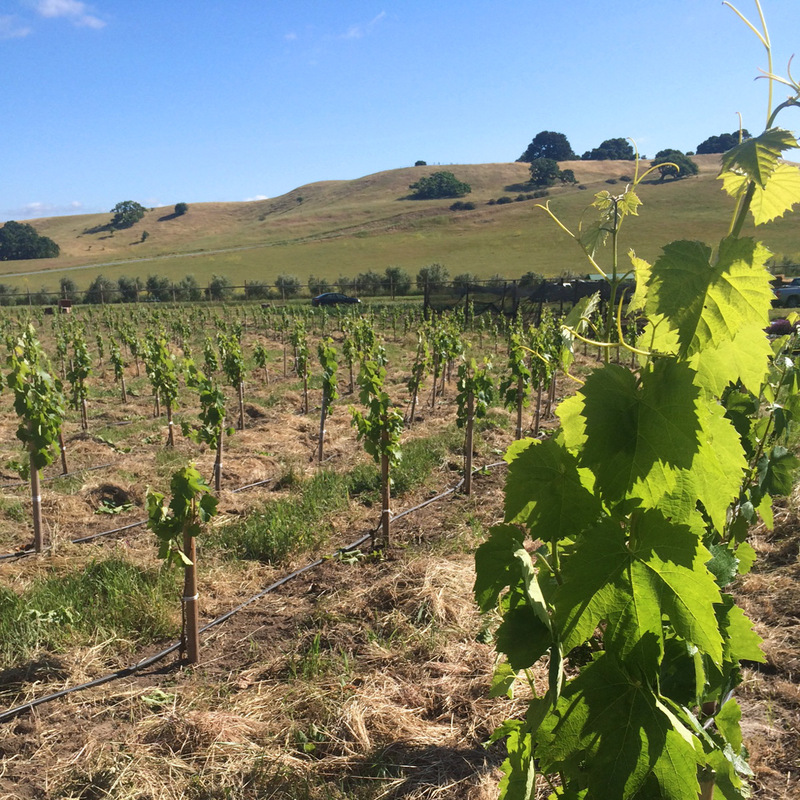 The grands crus are the Shakespeares, James Joyces, and Kafkas of the viticultural world. Gravelly soils generally don’t enjoy an enormous amount of internal surface area, but they are soils in active mode of erosion/decomposition, thus furnishing a significant quantity of minerals into the soil solution. If there is a source of deep moisture from a receding water table, such as one finds in Bordeaux, the appropriate hydrologic balance can be found. A very low rainfall area such as San Juan Bautista would seem to call for the use of rootstocks that are particularly aggressive in their ability to extract moisture throughout the entire soil profile. There is not complete agreement on the appropriateness of non-tillage under all conditions, but many (myself included) hold that tillage (discing), i.e., the removal of the protective thatch of vegetation covering the soil’s surface, results in the eradication of microbial life in the top several inches of soil. A vibrant soil microflora is absolutely key to the uptake of minerals in the soil solution by the plants and the maintenance of plant health and resistance to many types of stress. Ironically, this would fly directly in the face of what virtually all North American wine drinkers and many of the influential wine critics are looking for in their wine. I am not even remotely capable of making the genetic argument supporting my selection criteria, but it seems that virtually all of the “successful” vinifera cultivars that remain with us were the product of one parent that was highly vigorous, productive, mostly disease resistant, high in acid (it seemed to be a useful strategy for fending off insects and other unwanted intrusive visitors), and frankly, relatively neutral in flavor. The other parent, as one might imagine, produced fruit that was much more complex in flavor but of course presented other complicating “issues”: sensitivity to rot, disease, drought, etc. Presumably some of the offspring were the happy individuals that carried both a degree of hardiness as well as some unique, flavorsome gift. This is especially problematic because you’re not really looking to solve a particular problem; i.e., you like the characteristics of a particular cultivar, but you just want it to have, say, a looser bunch, or ripen a little bit earlier or later. Instead, you are looking to create a wine that is simply beautiful with but minimal expectations of what precisely that beauty might look or taste like. 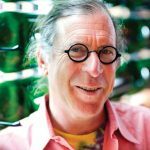 Author Randall Grahm is a winemaker and winegrower and the president of Bonny Doon Vineyard in Santa Cruz, Calif. In 2009, he published the monograph Been Doon So Long: A Randall Grahm Vinthology. Thanks Randall and Meg. I’ll need to read this more than once (probably more than twice), but that should not be a burden. It was enjoyable and informative the first time around, and I expect the informative to increase with each re-reading, with no diminution of the enjoyment. Thank you, David, for reading (and re-reading). Somehow applies to so much of what I do with my life: write, parent, observe and love. I’m putting this in my notebook.